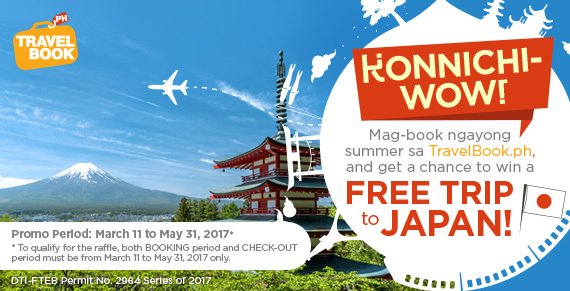 This summer, it’s time to explore and see the beauty of the Philippines with our ongoing exciting promos: Win a free trip to Japan for two in the Konnichi-wow: Free Trip to Japan and avail of highly affordable deals on hotels and resorts with Super Summer Sale. In addition to the anniversary, TravelBook.ph is celebrating many huge milestones. In just four years, they grew exponentially in the e-commerce industry. 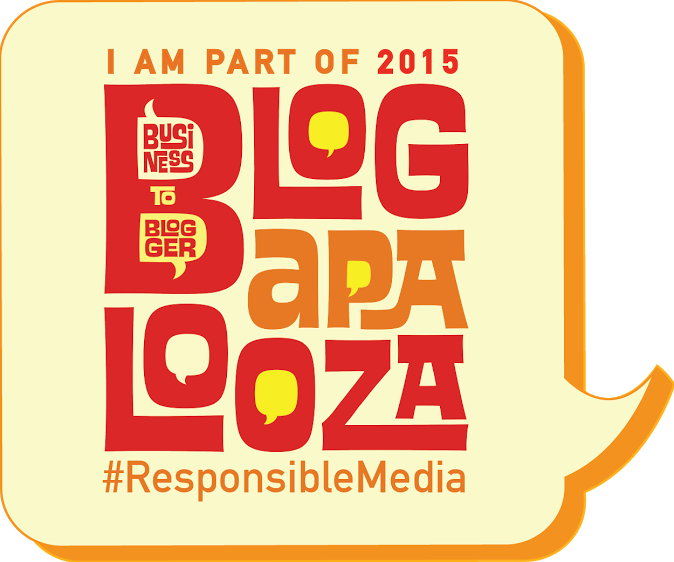 Its number of bookings increased up to 200% ever since they started offering affordable hotel reservations in March 2013. Today, over 3,200 local hotels and resorts are listed on their website, providing more opportunities for Filipino wanderers to travel around the country and support local tourism. 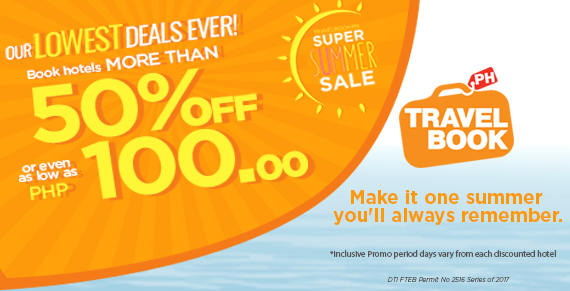 TravelBook.ph dares to brave that extra mile and achieve even more by further establishing their brand as the only online travel agency (OTA) that promotes local tourism and highlights the unique perks and services offered to Filipino travelers. This includes attractive discounts, convenient payment options, exclusive reward points, and the TravelBook.ph mobile app. They will also be releasing TravelBook magazine, the company’s official free publication that aims to inspire Filipinos to visit local destinations, meet new people, and immerse themselves in the country’s rich culture. The Philippines is undeniably full of wonders that are meant to be appreciated and explored. As they celebrate their fourth anniversary, TravelBook.ph encourages you to go out there, explore the amazing places in the Philippines, and gain memorable travel experiences like no other. TravelBook.ph is one of biggest online travel e-commerce company (online travel agent) in the Philippines dedicated to offering great value hotel bookings. It has a wide selection of Philippine hotels and resorts in Baguio, Batangas, Bohol, Boracay, Cebu, Davao, Laguna, Metro Manila, Palawan, Pampanga, Tagaytay, Zambales, and more. There are a total 3,000 of affordable hotels currently listed in Travelbook.ph. It addition, they offer exclusive reward points: customers automatically earn back 5% of the total amount they spend as reward points, which they can use to get discounts on their future bookings (1 point is equivalent to PHP 1.00). To know more about convenient and affordable hotel bookings all over the Philippines, visit Travelbook.ph website. Follow TravelBook.ph on Facebook, Twitter, and Instagram.